We're not permitted to write about these. 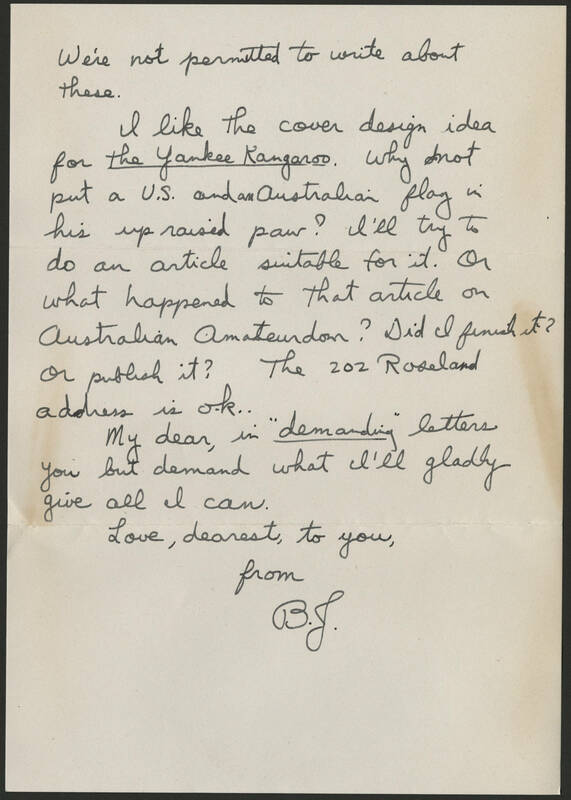 I like the cover design idea for The Yankee Kangaroo. Why not put a U.S. and an Australian flag in his up raised paw? I'll try to do an article suitable for it. Or what happened to that article on Australian Amateurdom? Did I finish it? Or publish it? The 202 Roseland address is o.k.. My dear, in "demanding" letters you but demand what I'll gladly give all I can. Love, dearest, to you, From, B.J.